The Berghaus Air 4 Tent Footprint is a must-have custom fit protective foundation for your Air 4 Tent. 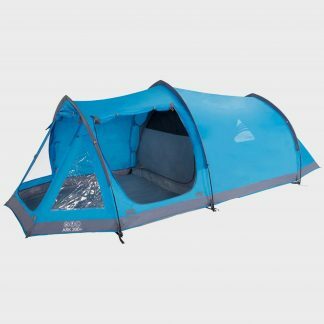 The footprint is constructed from highly durable, waterproof polyethylene that protects the groundsheet from rough terrain, stones and other hazards. Its waterproof properties keep out moisture, and also helps to retain valuable heat lost through the ground. The included steel pegs ensure the footprint stays secure. At Alpaca Tents we don’t sell products, we give you the most detailed information and provide you links to the cheapest retailers online so you know you’re getting the right product at the best price.